Home » Posts Tagged "celebs"
Here are photos, collages, lots of inspiration past, present and for future on Helen’s Blog from March 2 to April 18, 2014. There’s movies, celebs, both movie and hair stars in action plus some of their wonderful work, holiday photos with a great hotel, gift certificate and business check ideas and more. Many will not be seen anywhere but here. Scroll down to More and More for full credits. And, of course, there’s hair history and even more to excite anyone who wants to be excited on the Hair Fashion Photo Archives Website here. 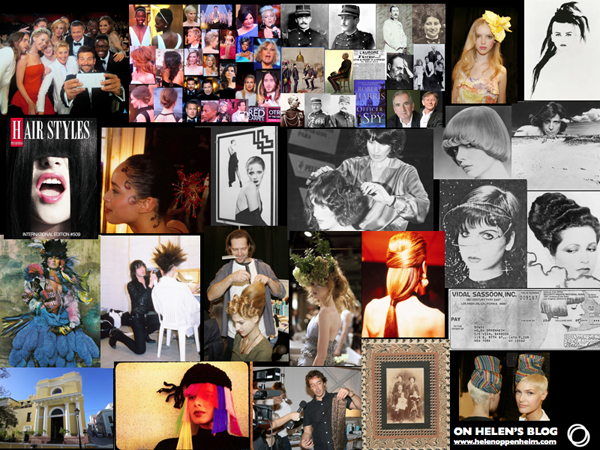 Here are photos, collages, lots of inspiration past, present and for future on Helen’s Blog from March 2 to April 18, 2014. There’s movies, celebs, both movie and hair stars in action plus some of their wonderful work, holiday photos with a great hotel, gift certificate and business check ideas and more. Many will not be seen anywhere but here. Scroll down to More and More (in red) at the bottom of each page. And, of course, there’s hair history and even more to excite anyone who wants to be excited on the Hair Fashion Photo Archives Website here.